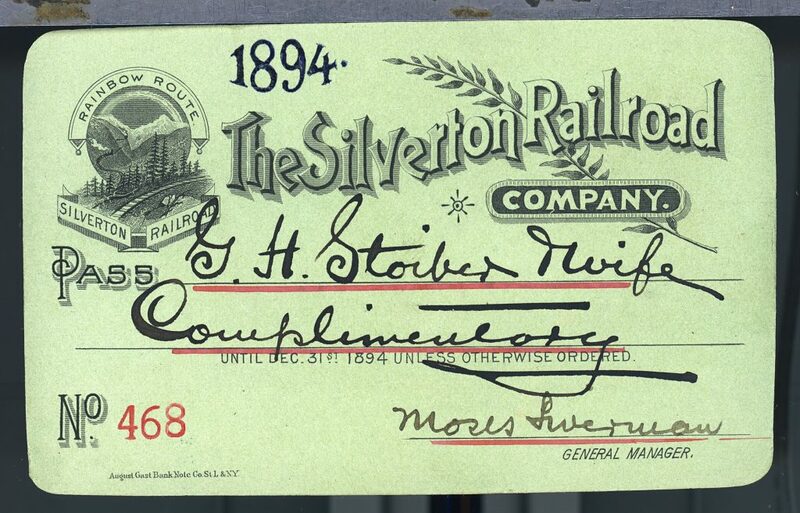 The Silverton Railroad Company, #468, issued 1894, to G. H. Stoiber. 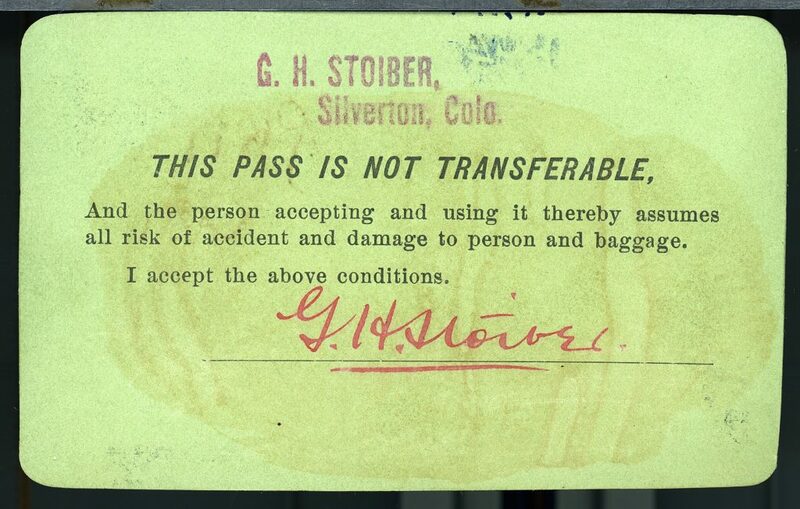 This pass was signed by Moses Liverman as General Manager of the narrow-gauge line. G. H. Stoiber, gold mining magnate in a silver mining area. A Civil War veteran, participant in the Black Hills, Dakota Territory gold rush, Congressional clerk, and consultant on Ute Indian affairs, became the superintendent of Mears’s Silverton Railroad in 1889. Liverman soon became general manager of the Silverton Railroad, as Mears spent more and more of his time in Denver. Liverman was tasked with keeping the Silverton Railroad running while budgets tightened and snow mounted. Moses was also one of the incorporators of The Silverton Northern Railroad Company. 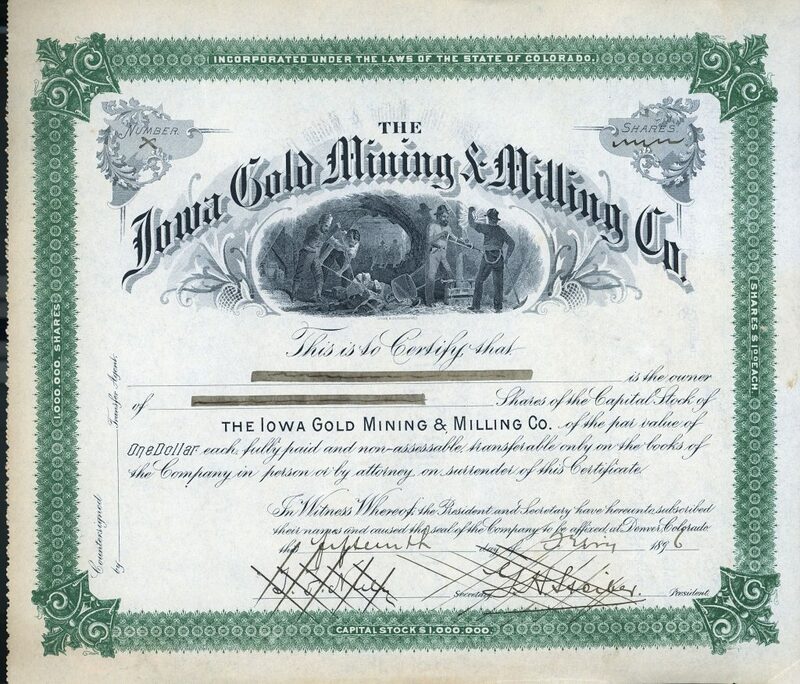 Specimen certificate for Gustavus Stoiber’s IOWA GOLD MINING & MILLING COMPANY, with properties located in the Silver Lake Mining District, above Silverton, Colorado.